War For The Planet Of The Apes is the sequel to 20th Century Fox and Chernin Entertainment’s 2014 feature Dawn Of The Planet Of The Apes, and is the third instalment in the rebooted Planet Of The Apes franchise. 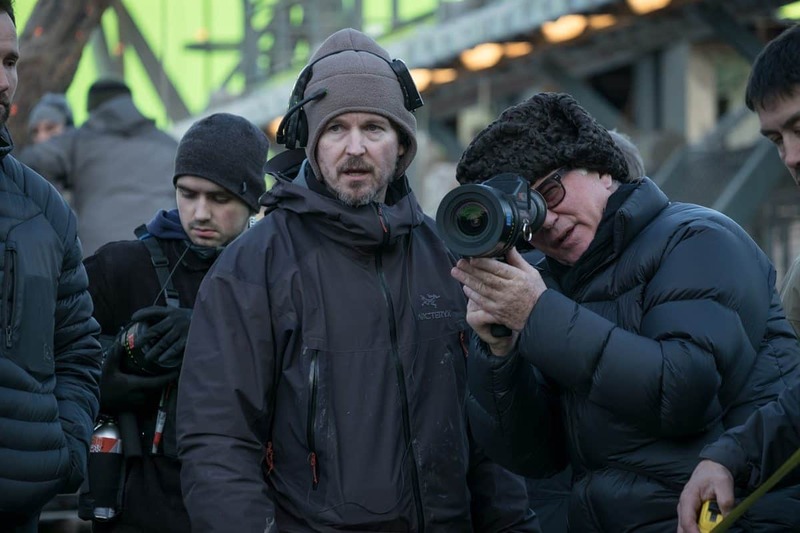 When Dawn took well-over $700m at the box office worldwide, its director Matt Reeves and screenwriter Mark Bomback were asked to return for the next episode in the franchise. 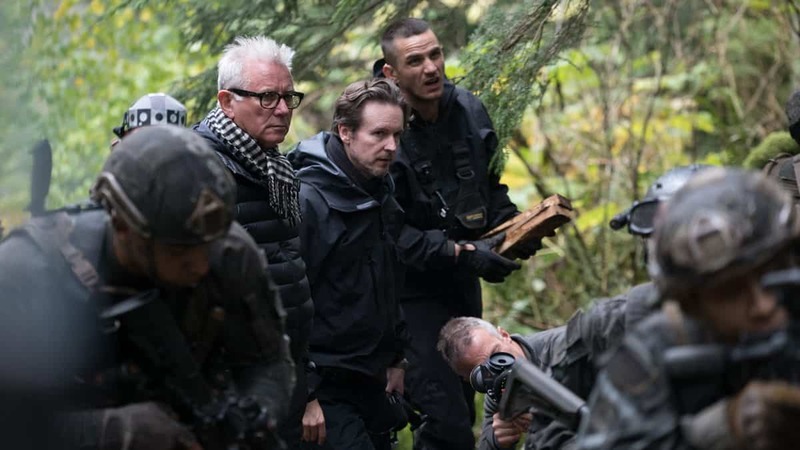 Cinematographer Michael Seresin BSC NZSC, who shot Dawn in native 3D stereo, was lured once more into the fray, with production designer James Chinlund, plus first AD Matthew Dunne, also making a return. 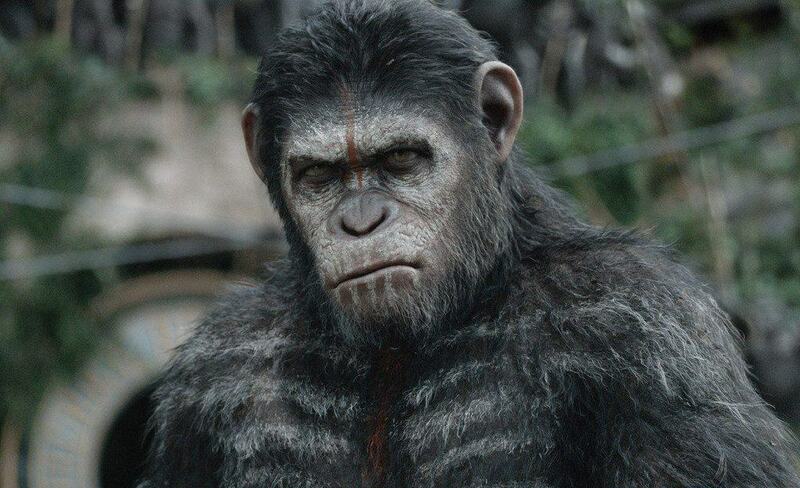 The $245m summer blockbuster, releasing in 2D and 3D stereo, is set two years after Dawn Of The Planet Of The Apes. Caesar (Andy Serkis), an intelligent common chimpanzee, and his tribe of genetically enhanced apes have been constantly at war against humans. When the apes start suffering heavy losses, and Caesar's wife Cornelia and son Blue Eyes are killed, Caesar wrestles with his darker instincts to face the Colonel (Woody Harrelson), the iron-fisted leader of the humans, who is obsessed with wiping out Caesar and his tribe to defend his people from destruction. The impending conflict will determine the fate of both species on the planet. When Reeves and Bomback initially came on board to helm Dawn, the film already had a release date, which led to an accelerated production schedule. However, with this third instalment, Fox gave the duo plenty of time to write and shoot the film. Principal photography, including a 50-day stint shooting at night, started in mid-October 2015, in a vast open-air, specially-built location in Lower Mainland near Vancouver, under the working title ‘Hidden Fortress’. The production wrapped around 130 shooting days later in March 2016. Parts of the movie were also shot in the Kananaskis mountain range in the Canadian Rockies, the desert around Las Vegas, and in a cavernous, Fox-owned studio near Vancouver. 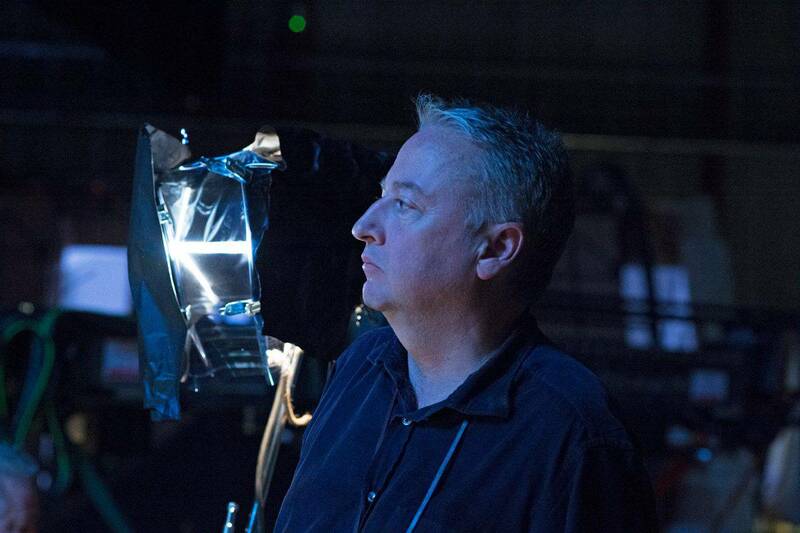 “Following the success of Dawn, Matt was signed early-on for this new production, and was given more time and more creative freedom,” says Seresin, who was overseeing the final HDR grade on War at the time of this interview. Whilst Reeves took inspiration for the relationship between Caesar and the Colonel from classic war films, such as Bridge On The River Kwai, and sought to imbue the new production with Biblical themes and elements from epics such as Ben-Hur and The Ten Commandments, Seresin says the previous Apes movie was really the visual starting point for their new endeavour. Moving the visual experience on aesthetically, Seresin suggested capturing War in large format, using the then officially-unreleased ARRI Alexa 65 camera. This included a LUT designed for Seresin during prep by colourist Matt Watson at LA post house Shed, and Vancouver-based on-set DIT Simon Jori, that would deliver a suitably drained, post-apocalyptic feel at the darker end of the aesthetic spectrum. After conducting a series of tests in Los Angeles and London to convince the studio about his choice of camera, Seresin selected the ARRI-optimised Hasselblad lenses (HBs), since re-branded as ARRI Prime 65s, for the shoot. “They are modern photographic stills lenses, with high-performance optics, that allow you to use wide lenses without the same distortion that you’d get on a smaller sensor. The Alexa 65 chip is 3.7 times larger than a regular Alexa. The HBs are relatively slow, compared to more recent lenses, but I still shot wide open, lens-dependent, between T2.8 to T4.5. "Although I would have liked to have shot in native 3D again, as I enjoyed it first time around, the plan was to dimensionalise War in post, and I knew I would have a good degree of control over this part of the process. I would not work on a movie if I did not have that. It’s part of my job." 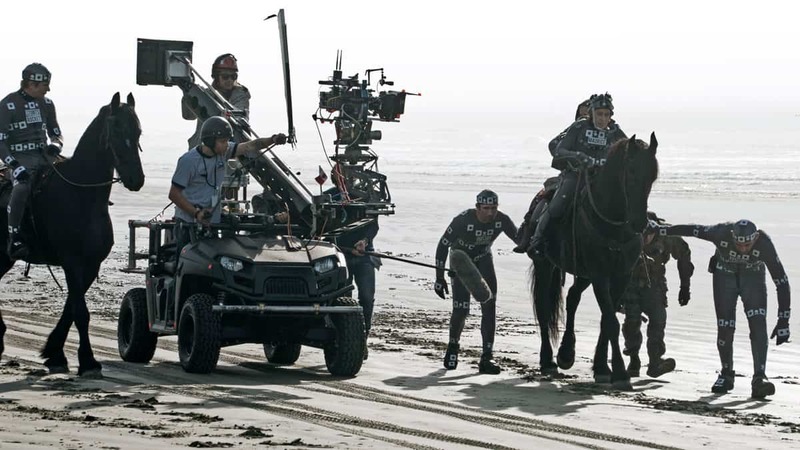 Up to eight Alexa 65s were used during the production of War, with combinations of three, four or five cameras capturing the stunts and explosive action on main unit – variously motivated via Libra remote heads, Techno-cranes or Techno-dollies – with the remainder deployed on second unit photography. At the time, this volume of cameras accounted for a quarter of ARRI’s total inventory of Alexa 65s, although the company has since upped the total to 70. Making the best of what you’re given is the cinematographer’s stock-in-trade. Happy accidents can play a role too. Never was this more true, than during the first few days of production on Vancouver Island. As Seresin explains: “I was given to believe that the weather at our location would be naturally rainy, miserable, overcast and dark. And that is what we experienced during the location scouts. But, for the shoot, we had clear, brilliant sunlight for ten days – no crashing waves or brooding skies – which would give the footage a completely different look to the one we had intended. But we made it work. As for lighting the actors, Seresin kept to his shape-shifting motif, keeping the look appropriately dark by often half-lighting or silhouetting the characters. The vast prison set was lit using a combination of practicals and other fixtures incorporated into the set, along with the traditional array film lighting, plus a huge Wendy to create the effect of moonlight. However, to ramp up the dramatic tension via the lighting, Seresin also implemented a set of powerful roving searchlights, operated remotely and firing random, rather than predictable, shafts of light around the set. To ensure his lighting translated correctly to the CG-animated apes, Seresin worked closely with VFX supervisor Dan Lemon and his team, who were permanently on-set, taking high-resolution reference stills and keeping assiduous notes and measurements of the different lighting set-ups. Regarding the working regime, Seresin says working a Canadian version of French hours (a continuous 12-hour day) six days a week, was “pretty tough, but the food was quite good, Vancouver is a lovely city, and the heads of department and my camera crew are great people. So you just get on with it and make it work. But shows like this are demanding. We were only able to do four to six shots per day. A great deal of care was spent on every camera and lighting set-up." 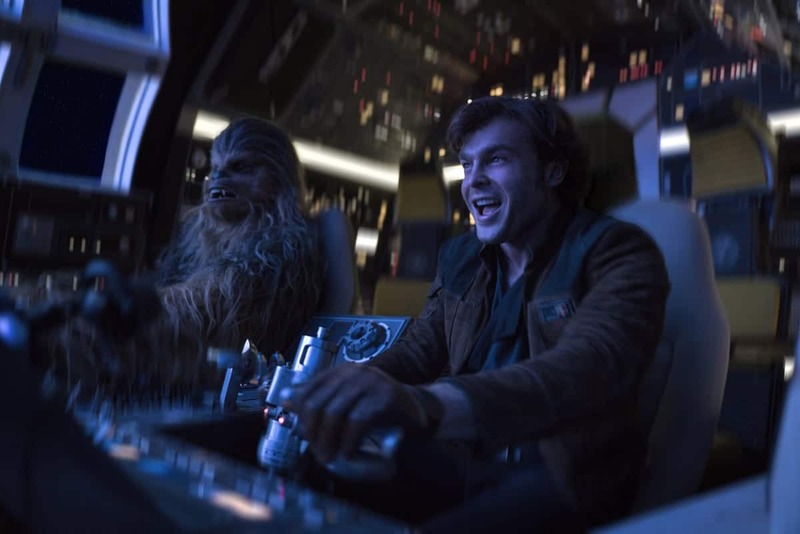 As for the night shoots, he says it was planned and agreed in advance to shoot the night scenes in one 50-day stint, before production paused briefly for a Christmas break, rather than have these interspersed through the production cycle. Whilst the need for collaboration is a given, one of the most important ingredients in making any workload more tolerable is maintaining healthy working relationships, especially with one’s director.